A big part of the fun and rewards of the holiday season is decorating our homes, no matter which holiday you celebrate. Unfortunately, when home decorations are used without regard to fire safety or are of inferior quality, the result can be a home structure fire. Christmas trees can be a dangerous source of accidental fire, causing 210 home structure fires each year in the U.S. (National Fire Protection Association - NFPA). These blazes cause an average of 7 deaths, 19 injuries and more than $17 million in property damage. Other holiday decorations are dangerous too and result in an additional 860 home structure fires annually. Candles cause 38% of these fires. But fires aren't the only dangers. Putting up decorations can cause injury and even death during falls from ladders or roofs. Tripping can occur from tree skirts or poorly placed extension cords. Tinsel and tiny decorations are choking hazards for infants and toddlers. Mistletoe and holly are poisonous, especially the berries. Be choosy with your fresh tree. Needles should bend rather than break. Cut 2" from the bottom to help the tree absorb more water. As soon as you get your tree home, place it in water and top off the water level every day. Select artificial trees that are certified or labeled as fire retardant. All trees should be placed 3 feet away from any heat sources including candles. Follow light strings' manufacturer's instructions for outdoor or indoor use and the maximum number of strings to connect. Use lights with testing laboratories labels. Check light strings for broken bulbs and sockets and frayed wires. Never leave lights on when you go out or retire for the night. Dispose of your fresh tree far from your home or garage or recycle it. 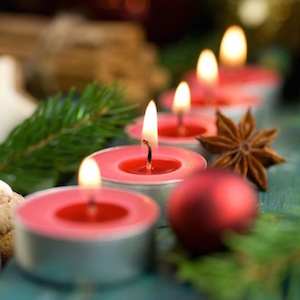 If you enjoy the warm and festive look of lit candles, be sure to use and place the carefully. Use them only in metal, pottery or glass holders. Keep them at least 12" away from anything flammable and away from the reach of children and pets. If you don't have an emergency escape plan, now is the perfect time to create one and practice with your family. Discuss an agreed-up meeting place and hold a fire drill. The NFPA has a child-friendly Fire Safety Plan Story to help you create your plan. If you or a family member has been injured in any type of personal injury, please contact the Law Offices of Diana Santa Maria, P.A. immediately. Our experienced attorneys have the right expertise to fight for the compensation you deserve. Please call us for a free consultation. Attorneys Diana Santa Maria and Laura D. Dolin, personal injury attorneys in Fort Lauderdale, will fight to secure justice for you and your family. You can reach us at (954) 434-1077 or contact us via the website.